The ability to think cope and react in the pressurised environment of the elite womens game is a pre requisite,so if you have undertaken a tour of duty as a precision fires gunner in Afghanistan then it is safe to say you know all about real pressure and in comparison to sport the stakes and the levels are incomparable. Bombardier Bethan Dainton has experienced both ends of the spectrum. Born in Hengoed on 12 April 1989, Beth has represented Wales on the track, at cross country and on the rugby field. She didn’t start playing rugby until 2015, yet remarkably made her Wales debut in the 2016 Six Nations against Ireland, going on to win five caps in the red shirt. 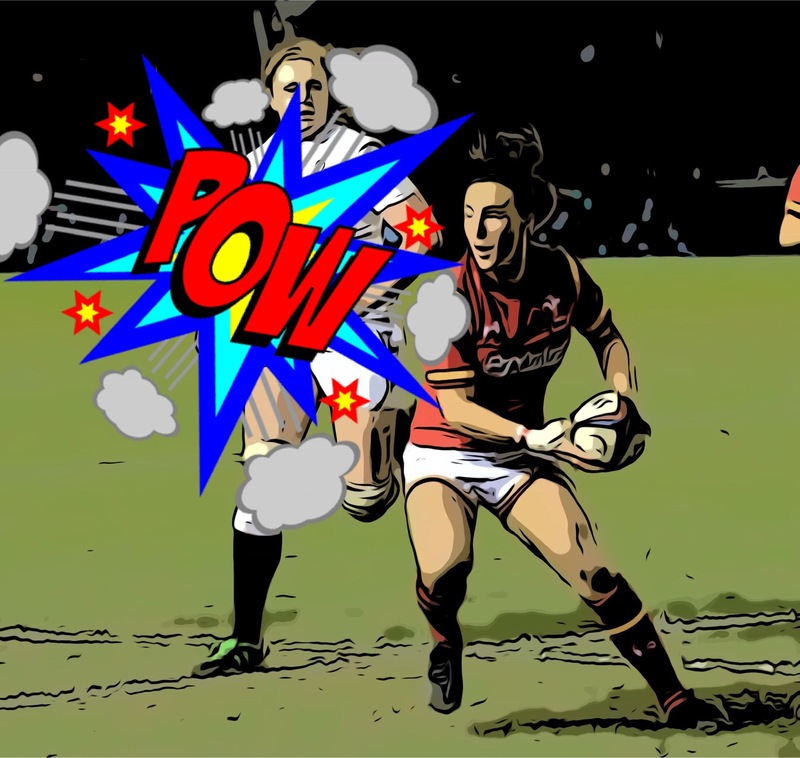 A serious foot injury sustained on international Sevens duty kept her out of action for nearly all of the 2017/18 season, and after a lengthy gruelling rehab she has now a run of games relishing her switch from wing to flanker and enjoying a new rugby lease of life in the number 7 shirt. A 2019 Tyrrells Premiership winners medal would be a perfect contrast and go together nicely alongside the one earned on the battlefield.